Introduction of the 9 Evenings: Theatre & Engineering event. Lecture by Swedish filmmaker Barbro Schultz Lundestam. 9 Evenings: Theatre and Engineering was a series of ten performances which took place at the 69th Regiment Armory in New York in 1966. Artist Robert Rauschenberg and engineer Billy Klüver organized a project that would provide artists, dancers and composers with stimulating creative possibilities of new technology. Klüver arranged for the ten invited artists – John Cage, Lucinda Childs, Öyvind Fahlström, Alex Hay, Deborah Hay, Steve Paxton, Yvonne Rainer, Robert Rauschenberg, David Tudor and Robert Whitman – to meet with a group of thirty engineers from Bell Telephone Laboratories. The artists worked for ten months in collaboration with the engineers to develop technical equipment that was used as an integral part of their performances. 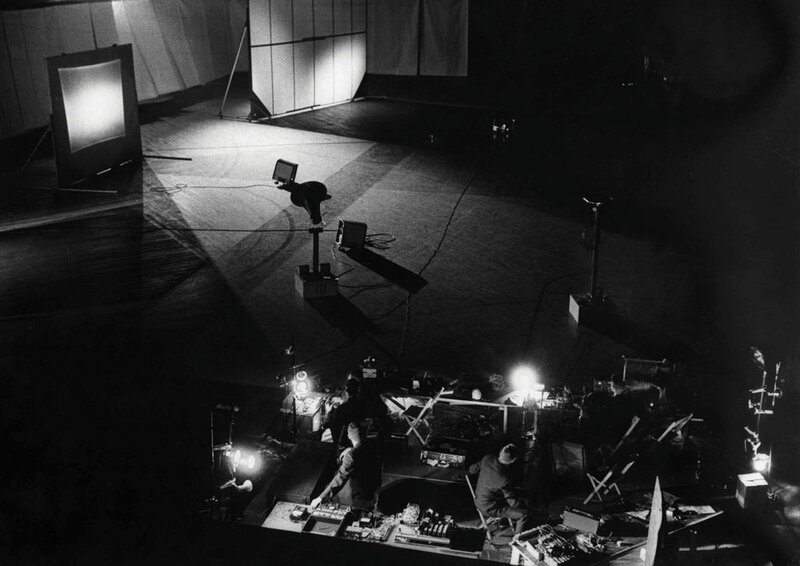 9 Evenings is now recognized as a major event of the 1960s, in which many ‘first’ uses of new technology were introduced for theatre: from fire-optics cameras to infrared television, a control system for real-time manipulation of sound and lights and closed-circuit television and television projection. Barbro Schultz Lundestam is a filmmaker specialized in art and cultural subjects. From 1977 to 1987, she was both producer and host of several weekly cultural programs at the Swedish National Radio and Television. In 1986, Schultz Lundestam founded Schultz Förlag AB, a publishing house in Stockholm, specialized in high-quality literature, poetry and art books. Authors include Jean Cocteau, Charles Baudelaire and Marguerite Duras. Among others, she translated and published Kiki’s Paris by Julie Martin and Billy Klüver. At the request of the Royal Swedish Academy, she made a film about the Academy’s history, members and the awarding of the Nobel Prize in Literature. One of her major projects during the last 20 years has been the series of ten documentary films on the legendary performances 9 Evenings: Theatre & Engineering.